Our firm is 100% virtual – everyone works from home. And, for my wife and I home can be Vancouver, Salt Spring Island, Naxos Island, Greece, and Kenya, Africa. My productivity even goes up when in Europe or Africa (ask me!). In order to connect seamlessly with my Team and with our clients we use two very powerful tools. One is free, the other inexpensive. The first one is Zoom, and it is awesome! Every Friday at 9am we have a Team meeting where each of our Team members simply clicks a link in an email and they are magically and instantly connected to the entire Team. The video shot of each Team members is displayed on your computer screen in a side-by-side fashion. 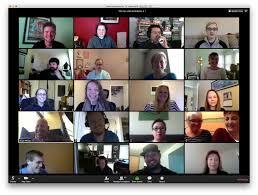 I know, I know that some of you are thinking that video can never replace in-person meetings. You are right, but this is a very, very close second best. 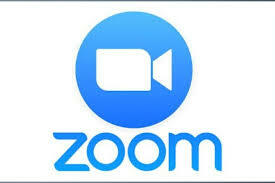 With Zoom you can use the speaker and microphone built into your computer to communicate seamlessly. The technology is so efficient that I use it when my wife and I are in rural Kenya, at a children’s home, and no one even knows where we are! It is as seamless in Africa as it is in Vancouver! For client meetings we use Zoom to share our screens and go over financial reports. This saves the client (or us) unproductive time driving all over town to attend meetings. One thing I have noticed too, is that although there is a small bit of small talk when meeting in Zoom, it is very minimal. 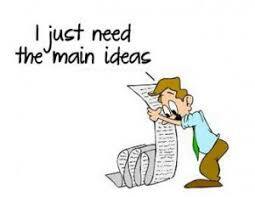 So, not only do you save travel time for all these people, the meetings tend to be very focussed and efficient. You can use Zoom for large trainings as well, because you can establish breakout rooms and people can go off into separate rooms online. 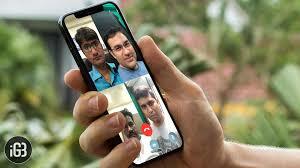 Zoom meetings can be recorded. This is especially valuable when teaching/training is involved. I have used Zoom to record me going through some training in an aspect of the accounting software we use. I then upload the video recording to YouTube and share with our clients and Team for training purposes. You can have your client share their screen with you so you can troubleshoot issues they may be having with software. One other really cool thing I have done – and I have a lot of fun with this one – is to use a virtual background. For this, you will need an add-on device called a webaround. A Webaround is a green, circular mesh screen that folds up into a smallish bag. 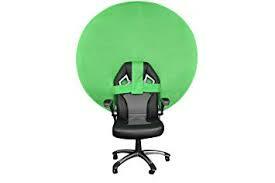 You pop it out and strap it (simple Velcro strap) to your chair. Then inside Zoom you can choose a background, and in that way, it looks like you are in different physical settings. I use it with new prospects. Before meeting online, I will go to the prospect’s website and either download their logo or take a screen shot of their Home Page on their website. That becomes my background which always surprises them, often eliciting smiles! It shows we are open to be integrated into their Team and that we care about them also in this small way. 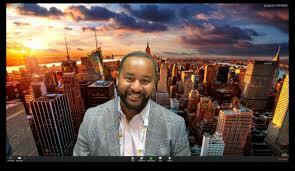 I also have different backgrounds for each of our clients for when I do meetings with them. What’s cool is that we can be in Africa, with a boardroom background, and no one needs to worry about where I really am, since I am fully available onscreen! The other tool we use is WhatsApp. 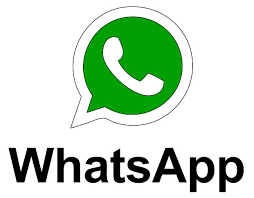 WhatsApp is a free add-on to your Smartphone that can be used to chat with your Team or clients. There are some great features inside WhatsApp that I really like. Firstly, it encrypts your conversation which is great for confidentiality. Second, it shows you with tick marks when someone has read your message. Also, the quality of the calls using WhatsApp is amazing! I don’t think there is a better quality of tone for calls than WhatsApp. I use it all the time because we find cell phone reception is poor in many parts of Canada (even Vancouver and Toronto), yet WhatsApp – even with a little internet connection – is always crystal clear. 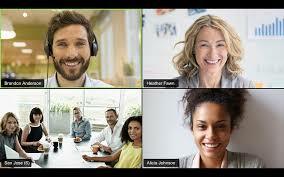 You can even add people to a call and do a group call. WhatsApp has recently added a second WhatsApp for business so you can add your business profile, including website to it. In regard to how we communicate, at ControllershipPLUS we work hard to maintain a tight Team culture based on kindness, politeness and care. Our Zoom calls are fun, lively, and positive. Our WhatsApp messages and emails are full of softeners (Thanks kindly for doing that…), and those softeners are especially needed in emails where because there is no tone (no verbal or facial cues) the only cues are in the actual words. So, I recommend you check out Zoom and WhatsApp to stay tightly connected with your team and clients.